I still use Winamp to play MP3s. Yes, the same program I used back in 1998 when the first MP3s I downloaded were Korn songs ripped from CDs my parents wouldn’t let me buy. Jon Davis no longer speaks to my angsty 8th-grade soul, but Winamp is still pretty good, dammit. Any number of programs will play MP3s now, but I still have a thing for Winamp’s compact user interface, low system requirements, and trippy visualizer, which iTunes has nothing on. No matter how bloated and confusing modern MP3 players become, I’ll always have a trusty 12MB file waiting to install a tool I know will do the job. For some journalists, taking away Google Reader is like taking away a mechanic’s socket set. As we adopt more and more cloud-based services, this reliance on the trusty tools we prefer, regardless of how rusty they get, is becoming a thing of the past. 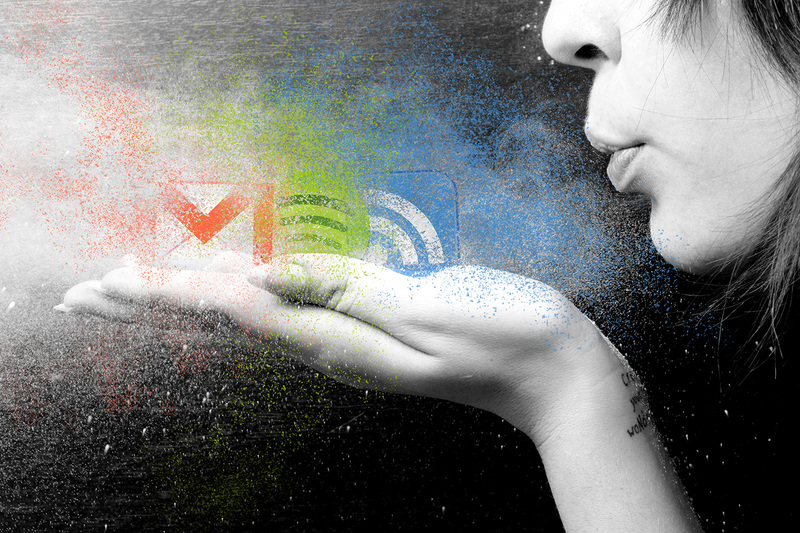 As Google Reader users found out this week when Google announced it would kill the service on July 1, cloud-based services can float away as quickly as their wispy weather namesake. The ice most of us walk around on every day like it’s concrete can crunch out from underneath us at any time, and it’s freaking me out. We’ve always known this of course, but I’m not sure we really wrapped our minds around what it means. The fleeting nature of cloud computing seemed to be a caveat more associated with temporary service outages, like when a hiccup in Amazon’s cloud servers barred millions of Netflix users from watching Home Alone on Christmas Eve. But as cloud services mature, and thin out, we’re finally coming to grips with services closing forever. Not just entertainment either, but real tools we’ve come to rely on every day. For some journalists, taking away Google Reader is like taking away a mechanic’s socket set. Cloud computing is so new that the first notable instances of shutdowns have just started to happen. Google Reader is the latest and largest casualty, but fans of Google services already felt tremors back in July, when Google announced it would axe iGoogle, along with a handful of lesser-known services. Now I need to find a new RSS reader and a way to see my Gmail, top news stories, a five-day forecast, current weather radar and travel pic of the day on the same page. No luck yet. Gamers have grappled with this reality for longer than the rest of us. While early PC multiplayer titles like Quake allowed players to host their own servers and play with each other without reliance on the company that made the game, more and more titles now depend on servers hosted by the game maker. When the company goes out of business or pulls the plug, the entire online community collapses into a black hole. Players who spent years building up super heroes in the MMO City of Heroes, for instance, said goodbye to those characters forever on November 30, 2012, when the developer shut down its online servers for good. I shudder to think of the larger services that could drop out from underneath me at any time. Mint.com is the only glue holding together my confusing hodgepodge of bank accounts, underfunded retirement accounts, and credit cards under my name; Google Calendar holds the master key to every Digital Trends’ employee’s sick and vacation days; Spotify carries years worth of my accrued musical preferences in the form of playlists and custom-tuned radio stations (Jeff wants to quit Spotify for this very reason); the photographic evidence (good and bad) of the last 10 years of my life would disappear forever if Facebook sank beneath the waves; Gmail… let’s not even think about what disarray my life would sink into without Gmail. The lesson here isn’t that we should go cro magnon and return to only locally run software that we can squirrel away on floppy disks forever. Only that online tools – like a lot of things in life – come and go. And if you’re prepared to play on the ice, you had better be prepared to swim in the cold water when you hear the ice crack. If you’re not ready … well … There’s always Winamp.